This EVENT IS OFFICIALLY SOLD OUT for this year! We have no more tickets available. 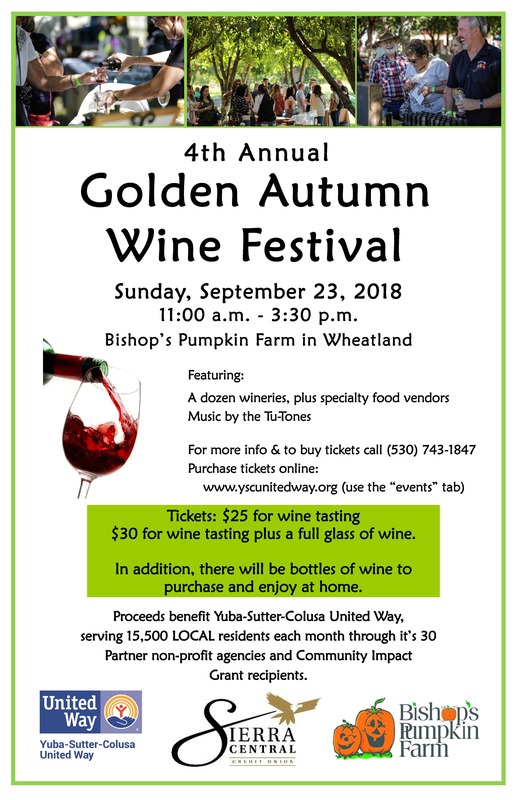 We are so appreciative of the 335 attendees who will be making this the biggest Golden Autumn Wine Festival ever. Thanks also to the wineries for their donation of their wines.